Most cases of periodontal disease are treatable using minimally invasive procedures, such as scaling and root planing or gum surgery. However, a periodontal disease that has been allowed to progress can result in the deteriorated bone beneath the gums. When bone is destroyed by gum disease, it can no longer adequately support the teeth, eventually leading to total tooth loss. In these cases, a periodontist may recommend bone grafting – also known as regenerative surgery. During this procedure, a prepared graft is placed in the areas where bone should be, which encourages the body to rebuild the areas lost to periodontal disease. that periodontal bone grafting is not just for advanced periodontal disease patients? In fact, more and more patients are undergoing bone graft procedures to gain enough bone structure to support dental implants. Bone beneath the gums naturally deteriorates following tooth loss. Bone grafting rebuilds these ridges and makes it possible for many patients to get permanent tooth prosthetics instead of dentures. Will I need periodontal bone grafting? The only way to know if you are a candidate for periodontal bone grafting is by scheduling a consultation with your periodontist. An exam will reveal the condition of your teeth, gums, and the supporting bone beneath. Based on your evaluation, your periodontist will make a recommendation for treatment. What should I expect during a periodontal bone graft treatment? 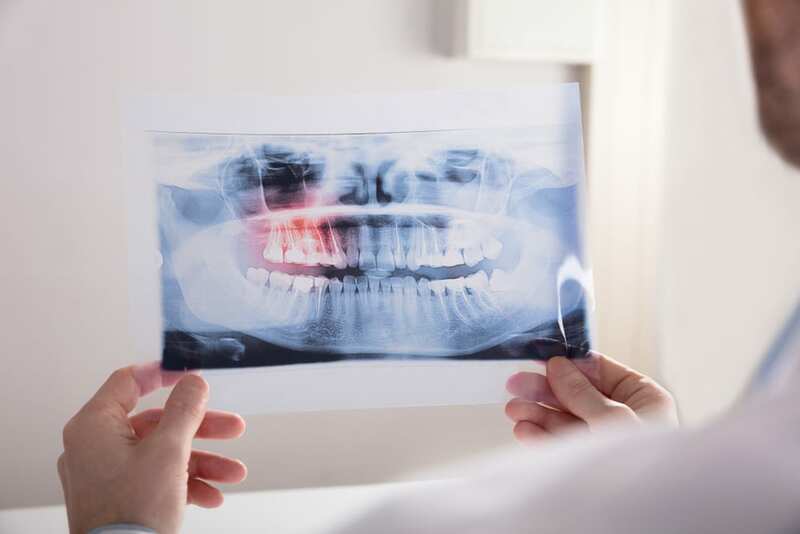 If bone grafting is the right treatment for you, you’ll visit your periodontist’s office, where you may undergo a scaling and root planing treatment to remove disease-causing bacteria and help prevent additional complications in the future. Prior to the grafting procedure, you’ll be given a local anesthetic to minimize procedural discomfort and possibly sedated for your comfort. The gums will be separated from the teeth, and a graft placed near the underlying bone. A synthetic or organic barrier will be used to ensure the gums do not grow into areas the regenerated bone will eventually occupy. Will I need to follow any special instructions following a bone graft procedure? Yes. Bone graft surgery will leave you with sore and swollen gums, so expect to eat only soft foods in the days following your procedure. You may be given pain medications or antibiotics to be taken according to your periodontist’s instructions. It may take up to nine months for your body to make new bone to fuse to your graft.